On the occasion of the G7 summit to be held on June 8 and 9, 2018 in La Malbaie, Québec will welcome the heads of state, their delegates, journalists and thousands of visitors. Considering the scale of the event, security is a big issue. Marc Parent, Chief Executive Officer of the Canadian Corps Commissionaires du Québec, explains that the Canadian Armed Forces, the RCMP, Sureté du Québec, police in Quebec City Private security agencies, close protection agents, secret services and intelligence services work together to secure the summit, citizens and nearby locations. Although a degree of coordination is required between these different entities, each has a very specific role. According to Marc Parent, Commissionaires act as a contributor under the auspices of the RCMP and the Summits Office: “We are responsible for searching people who access protected areas. 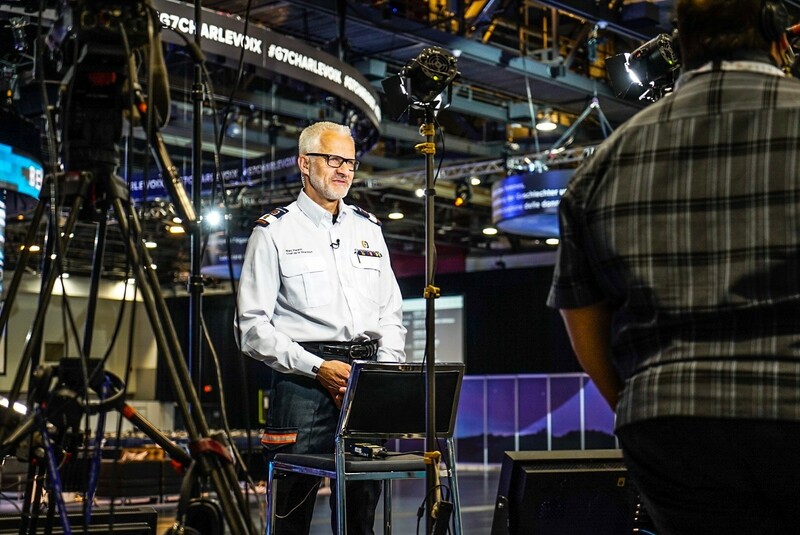 We perform fluoroscopy and monitor packages that enter several sites such as the Convention Center in Quebec, La Malbaie and Bagotville.” The Quebec Commission Corps Chief Executive added that the events of the 2001 Summit of the Americas in Quebec City and the 2012 student protests helped improve the methods and approaches of police organizations and security agencies.